Home » Our Blog » Reason Codes » What is a ‘No-Show’ Chargeback? 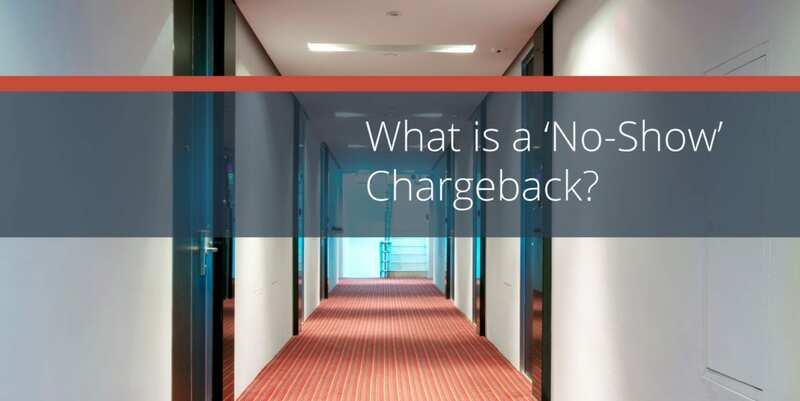 What is a ‘No-Show’ Chargeback? Merchants of all industries deal with chargebacks on some level. But the hotel and travel industry deal with some unique called ‘no-show’ chargebacks. That’s when a cardholder disputes a fee assessed by a hotel or restaurant for not showing up for his reservation—or they legitimately forgot about their reservation but they are penalized nonetheless. Reservations are made by a fraudster with a stolen credit card, usually to check if there is an available balance on the card. A customer makes a legitimate reservation and does not adhere to the cancellation policy presented by the hotel or restaurant. After the purchaser is assessed a fee following a non-appearance at the reserved time, they dispute the additional charge with their issuing bank. Record the name of the customer, phone number, number of nights they expect to stay, and their expected arrival date and time. If it’s an online or telephone reservation, capture the cardholder’s name, billing address, card expiration date, and the CVV/CV2 code. Clearly provide a phone number the customer can call should they need to cancel or reschedule. If the customer is paying for another party, obtain authorization from the cardholder in writing. Ensure that customer has agreed to your terms of service or refund policy and consented to the full amount of the reservation. If the reservation is being made for a company or organization, be sure to record the name of the entity that is booking the reservation along with the cardholder details. Transaction details which show that the customer name matches the cardholder’s name. If it was a card present transaction, provide a signed receipt. If it was a card not present transaction, provide AVS and CVV data. Evidence, such as a sign-in log to show that an accommodation was used or not used. Any and all correspondences (call logs, notes, emails etc.) between your hotel and the cardholder. Terms of service which show your cancellation and ‘no-show’ policies. An invoice of the transaction and signed Hotel Registration Form to show that booking was fulfilled. No matter the size or scale of your organization, these types of customer disputes will prove to be costly over time. With the right knowledge and tools, any merchant can become an expert in addressing chargebacks unique to their individual industry.